Mxt Media offers search marketing in Google, Bing, & YouTube search engines. The best way to rank your site for a desired keyword—Real Estate SEO, for example—is to prove to Google and the other search engines that you are the foremost authority on the topic—that’s basically the definition of real estate seo, isn’t it? You’ve done your homework. You’ve googled all the usual questions like “real estate seo keywords” and “real estate seo tips.” The blogs and articles are helpful, but there’s still something missing. Too much repetitive, half-sensical keyword salad like real estate SEO services and realtor website SEO everywhere. We can help. Here’s how. If search engines can’t access your site, it doesn’t exist. Web accessibility can extend into users, especially those with disabilities, but for our purposes, it’s just about search bots. Who are you up against? What are they publishing? How well do they rank? We’re up against other real estate SEO companies, of course. And we’ve analyzed them and tailored our web pages to outperform them in a number of ways. For example, our competition has 510 words per page, on average. The latest SEO case studies say that the top 10 Google results average 2,000+ words per page. And many are even longer—in some cases, up to 8,000. We wrote longer pages than our competition. It’s only one factor, but it contributes to the goal: we’re more likely to outrank them. Without a competitive analysis, we would have missed that opportunity. Search terms are customers’ way of asking for help. It’s not the keywords that count. It’s the motivation behind them. A website that is well-optimized for search engines speaks the same language as its potential visitors with SEO keywords. These words and phrases help connect searchers to your site. Keywords are one of, if not the, the main elements of SEO basics. We stripped out a few that were redundant or branded, but the end result is clear: 17 different phrases that Google thinks mean the same thing, or something very close to, our main keyword. Including these 17 phrases throughout our body copy helps Google identify this page’s topic and it signals repeatedly that this page is a thorough, complete resource. Title tags, meta descriptions, headings, alt tags. These things still matter. A simple checklist, but mistakes could kill your SEO. This won’t win the SEO battle. But it could lose it for you. 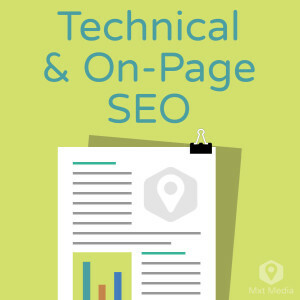 Technically, on-page SEO refers to both the text/image/media content *AND* the HTML source code of a page. But, for our purposes, we lump on-page SEO together with technical SEO. Link building is the foundation upon which all other SEO is built. All links are not created equal. Earn links the right way. For an SEO, link building is among the top tasks required to improve search ranking and traffic. Growing a website’s link profile is essential to gaining traction, attention, and traffic from search engines. “Natural” links come from sites and pages that want to link to your content or company. These links are usually considered “organic,” and they require no specific action from the publisher. Some SEOs skip natural links because they just sort of happen in the background. But that’s a mistake. They deliver low value individually. But in aggregate, they can be very powerful. Outreach, or built, links are acquired by asking for them. This is where the real SEO/link building skill comes in. Authors may email other publishers, do some good old-fashioned PR, etc. These links are often much harder to acquire than natural links. But their value is in their relevancy. They’re worth the extra time and effort because they deliver more benefit to the end result than natural links. You can’t know where to go if you don’t know where you are. Reporting is easy. Actionable reporting is incredibly rare. Get regular updates on visibility, reach, and delta. And what to do with the numbers. Since Google obscures the vast majority of searchers’ keywords and just lists them in Analytics as “(not provided),” we get creative. We lift the (not provided) veil a little by comparing landing page URLs & page titles. A starting point for page analysis, this report compares entrances and bounces for each page, along with unique visitors, pageviews, time on page, and any associated goal data. What it tells you: is this page working? Do visitors stick around? Do they convert? Etc. What it tells you: which traffic sources are the best for your website? Is Twitter beating Facebook? How do social referrals convert, compared to email blasts? Which content on your website is getting referral traffic? This report measures unique visitors to each page on your site. What it tells you: what other websites are linking to your content? And which of those linking sites is sending the most visitors?